If you’re looking for a gym that lets you do pilates, crossfit, zumba and more, then Regius Fitess Factory at Mahim may be what you’ve been looking for all along. Located at Mahim, Regius Fitness Factory is a fully functional, high-end gym with a high-quality set-up that allows you to work out using a variety of equipment. Apart from regular gym equipment and workouts, you can do a lot of functional training and crossfit activities which is rarely found in usual gyms, making it refreshing and new, unlike the usual monotonous workout. You could to do some tyre rolling and smashing and feel the raw strength in you. There are trainers who will keep helping you at every step. 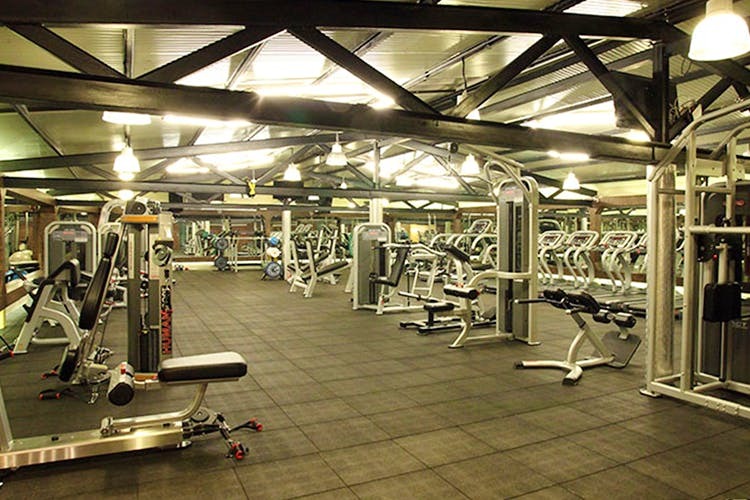 The gym also provides facilities such as pilates, zumba and more, so there are plenty of ways for you to workout here. There’s also a juice bar in here to kill your post-workout hunger. The per day cost at the gym is INR 600 or you could take a monthly membership for INR 5,900. For more information, check out the website here or their Facebook page here. We love this gym at Mahim and if you’ve been on some kind of a gym hunt, then you probably should consider Regius Fitness Factory.